One of the highlights of any Christmas or Thanksgiving table is the turkey and mashed potatoes, and of course for those to really shine, you just HAVE to have classic turkey gravy. Now gravy is one of those deceptively simple dishes that tends to throw off lots of people – so if you’ve had bad luck with gravy in the past, no worries. This recipe for classic turkey gravy walks you through the process step by step, and the video link below shows you exactly how it’s done. 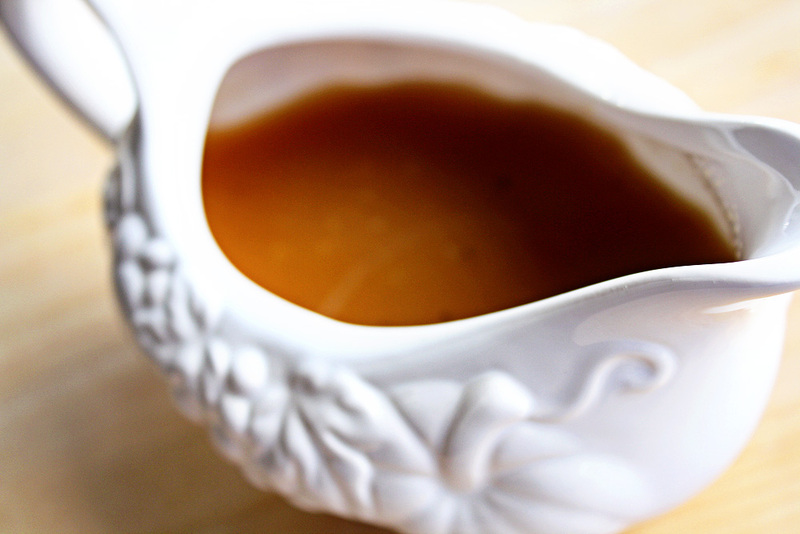 If you’re new to gravy, or if you’ve had bad luck in the past, there are a few tips and tricks to keep in mind to make sure you’ll have excellent results. First – make sure when you’re working with the drippings, that you whisk the flour in slowly, and whisk it really well. As you’re cooking the flour in this step, make sure you’ve stirred out all the lumps, otherwise you’ll have lumpy gravy. Secondly, add your liquid slowly, and work in batches. Add a little, whisk it well, let it thicken, then add some more. As long as you’re a little patient (and it’s still only 10 minutes total), you’ll be fine. 11; I never do! And this recipe is so good I’ve caught various relatives either eating it with a spoon or licking their plates when they thought no one was looking (it’s my brother but don’t tell him I said so). My youngest unashamedly tries to fix soup bowls of it. So give this recipe a shot – I promise you’ll be absolutely tickled with the results. Classic Turkey Gravy - how to make incredibly delicious, silky smooth, classic turkey gravy! Take the roasting pan and drain off as much of the grease as possible, with a spoon or a turkey baster. Either place the roasting pan on the stove top, or scrape as much of the drippings as possible into a large skillet or saucier. If you have lots of lovely brown bits simply stuck to the roasting pan stick with that - that's flavor and you don't want to lose it. Measure back four tablespoons of the grease into the pan, and turn the pan to medium heat. Whisk the flour into the fat, making sure that you've whisked out all the lumps. You really want the roux to be smooth at this point. Slowly add half the stock to the pan, whisking constantly. Allow the mixture to come up to a simmer. It will most likely be very thick at this point. Simply add in enough additional stock to bring it to the consistency you like. It will be fully thickened at each addition after it simmers for a minute. Taste and adjust for seasoning, adding kosher salt and pepper if need be. Serve immediately - that's all there is to it!